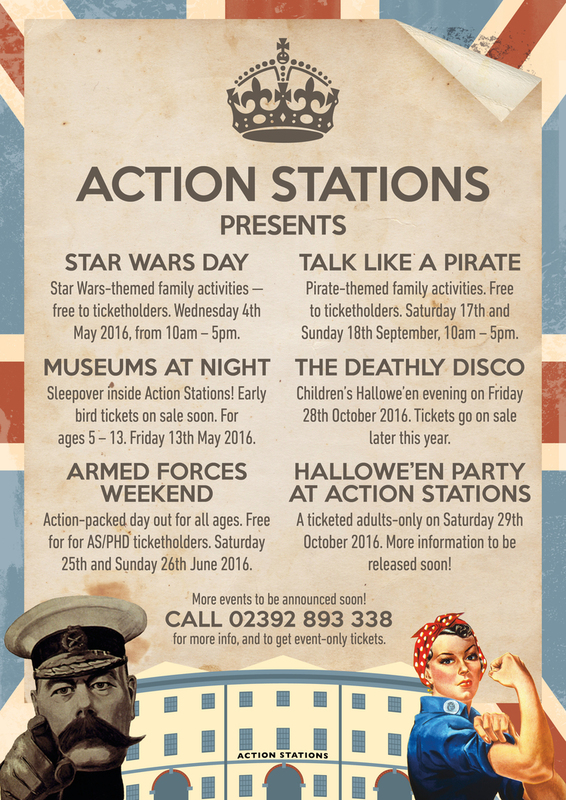 Action Stations, situated in Portsmouth Historic Dockyard, do an incredible job of engaging young people with maritime and naval history — legacies which are key to Portsmouth's past. They commissioned us to create a series of posters promoting a number of their events, starting with their World War II Weekend activities in March 2016. 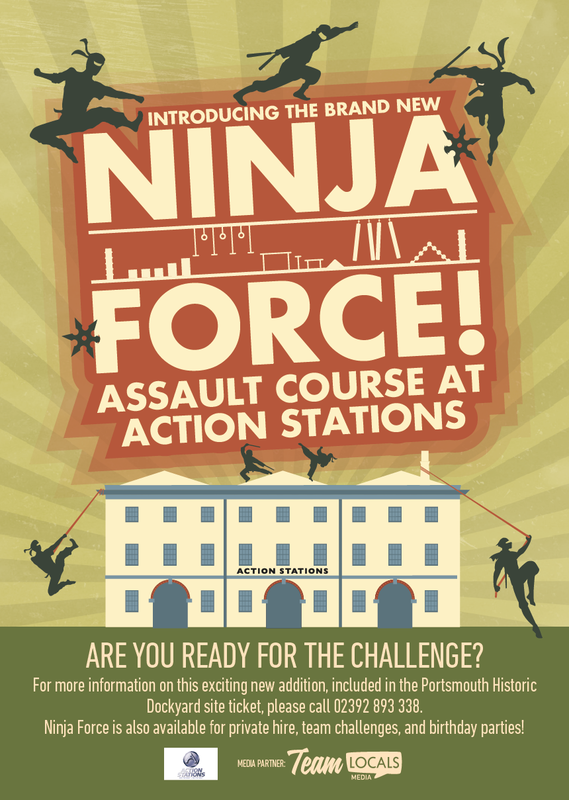 At the core of each poster is a simple vector rendition of the Action Stations façade, around which the specific theme of the event is built. Aside from the Corporate Team Building poster. I went a little off-piste with that one, building a 3D model of Action Stations as a guide for sketching the building from a different perspective.